Hooray. I just read in the paper today that Ruby's lease has been extended for at least one more year. 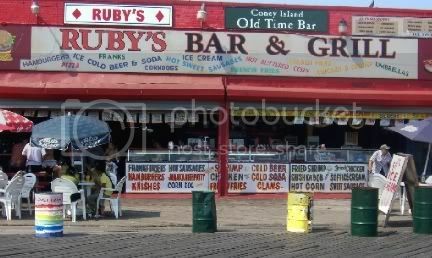 Sadly though, beyond that things get murky and this Coney Island landmark may not survive. Once it is gone there will never be another like it. After finishing up my beer at Rocky Sullivan's we headed over to the soccer fields to check out the scene. It was a bit of a walk, but not too bad on a nice day, even if we did get a bit lost. We knew we were getting close when we began to smell the food. We knew we were there when we saw the crowd and the sign. Now this place is great. 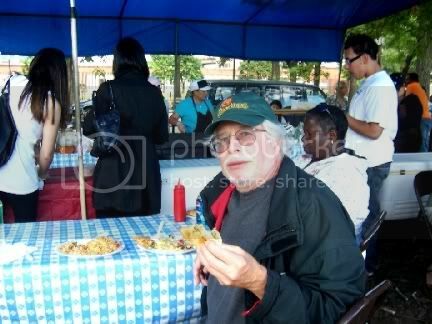 Most street fairs in New York are kind of bland these days with the same old food stands at every one. An exception is the Atlantic Antic, but more of that another time. 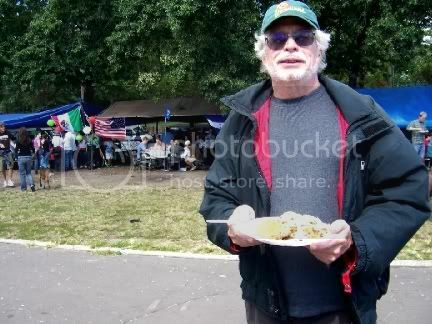 Here you had real vendors making most of the food on the spot and it had the feel of a genuine Mexican fair. 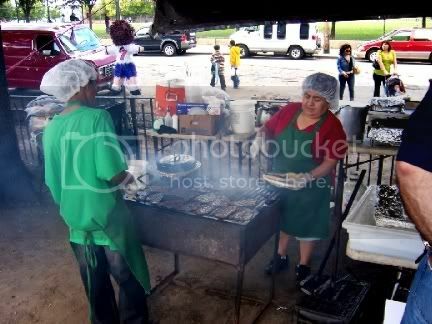 Now I know that not all the vendors were Mexican, but I go to Mexico every year and this is what it felt like. And, of course, a real Mexican staple is the grilled corn smothered in mayonnaise and sprinkled with red pepper. I had my heart set on a taco though. 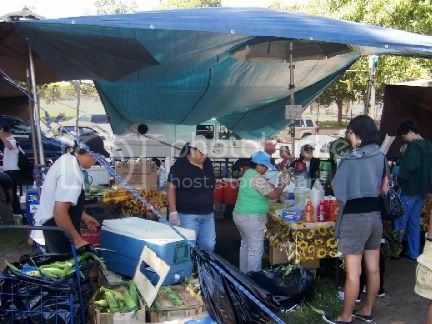 Some of the best, and cheapest, food you can get in Puerto Vallarta is on the street. 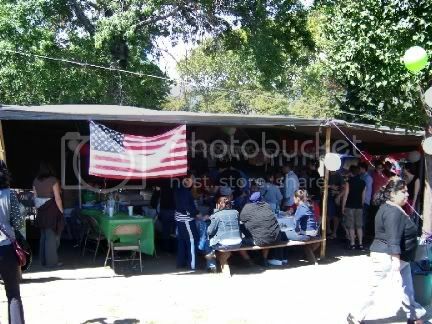 There you have vendors with chairs set out and regulars show up every day and night to visit and eat. It is surprising how many tourists avoid these vendors convinced they will catch some horrible aliment from which they will never recover. Their loss, in my opinion. Well, there was no problem in getting my taco fix here. I liked the looks of the meat being grilled here. Now this was a deal that you don't find in New York too often. I got a big taco, all made on the spot, and a couple of fried pork rinds, also freshly prepared, with all the fixings I could load on my plate for only $3. It was great fun just wandering among the vendors and checking out the action. There were a lot of people and a lot to see. 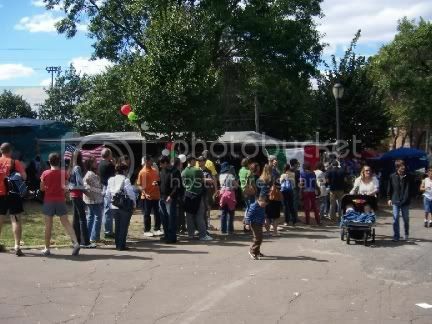 You can figure out which vendors are the most popular by checking out the length of the lines. Now keep in mind, a lot of this food is prepared by hand and your plate assembled after you order. As a result, the lines move a bit slowly. But the wait is well worth it. There was also a stand where you could buy various treats. 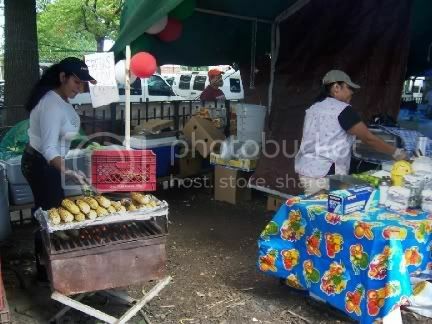 This reminded me of the road-side stands that I have encountered in Mexico and Costa Rica. 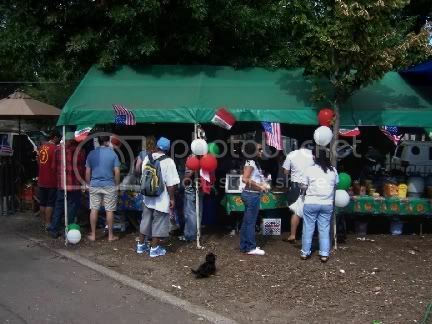 There are benches by the soccer field where you can sit and some of the vendors also have tables and chairs set up. Now, I may have mentioned that the prices here are very reasonable. You can see what I mean. 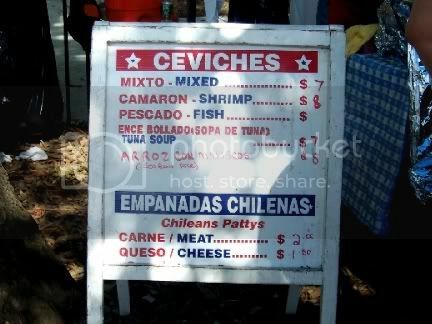 I started out with a $2 Chilean meat empanada and it was delicious. The meat was cooking in a pot and the crispy dough wrappers were being deep-fried before the whole thing was wrapped up by hand and given to you. I could have eaten a bunch, but there was more to be had. I am a big fan of cerviche so I could hardly pass up trying their offering. For $7 you got a very generous serving of some of the best cerviche I have ever had. It was chuck full of fish, shrimp, squid, and octopus. The octopus was a nice surprise because I really like it and it isn't that easy to find. The Mysterious Chinese Woman ordered the seafood rice for $8 and declared it a real deal. You got a full plate of rice heavily laced with both squid and shrimp and maybe more stuff as well. The rice and the seafood were prepared separately and mixed in just before being served so everything retains its flavor. Much better than when everything is lumped together in a pot and cooked together for hours. After eating our fill we decided to get a bit of exercise by hiking home. 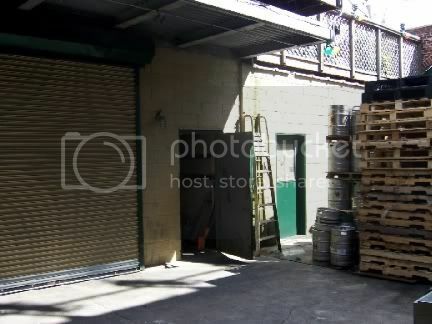 It was getting quite warm and the sun was out so I decided to stop into Downtown Bar And Grill for a couple of brews. I started out with something that I hadn't seen before, a draft Glacier Harvest Wet Hop Ale from Harpoon. Most beers and ales are made using dried hops, partially because it is easier. Most hops are dried and refrigerated immediately after being picked. This makes them easier to store and ship and does result in more consistency. 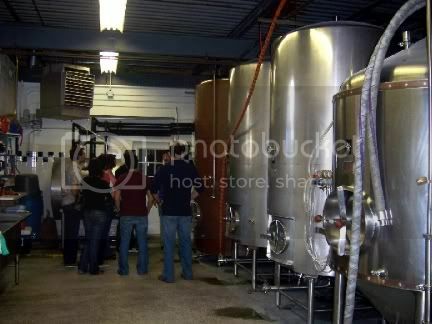 Plus, hops are harvested in the fall and this allows them to be used in brewing throughout the entire year. Wet hop beers are brewed using fresh hops that contain about 60% moisture when they are picked. This way they still retain some of their natural oils and flavors that dissipate when they are dried. As a result you get a nice intense flavor in the beer. Of course you have to use them within hours of their being picked so you don't see this style too often. Now, to Harpoon's credit, they don't over-hop this ale so you can really enjoy the hoppy flavor without being inundated by the bitterness. I found it to be quite delicious. It has a decent enough 6.7% alcohol content. I followed this up with a Saranac Imperial IPA draft. This is a stiff 8.5% alcohol and, in keeping with the IPA tradition, very hoppy and very bitter. Nice copper color and a nice white head. It was good, don't get me wrong, but everyone is so into hops now that I am getting a bit over-hopped. I have to say I preferred the Glacier Harvest, at least on this day. But, being a bit of a hop-head, I will still be hitting the IPAs pretty hard. All in all it was a great day. It is well worth the trip to Red Hook to try out the food vendors. Their season closes at the end of October and as mentioned in my previous blog, nobody knows what next year holds. I am certainly going to try to get back again. 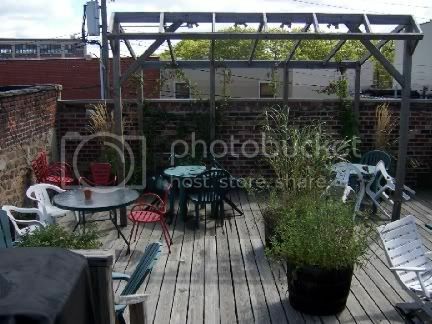 There is a cool liquor store in Red Hook that I want to visit again and when I do I will be posting about it. A neighborhood not far from mine is called Red Hook. Back when Brooklyn used to be one of the great ports this area was home to dock workers of every ilk. Supposedly the area got its name from the tendency of longshoremen to settle their disputes in fights with bailing hooks. Well, not really. It is actually named for its red clay soil and the fact that it is on a point of land that extends into the East River. It was originally named Roode Hoek by the Dutch and "hoek" means point or corner in Dutch. 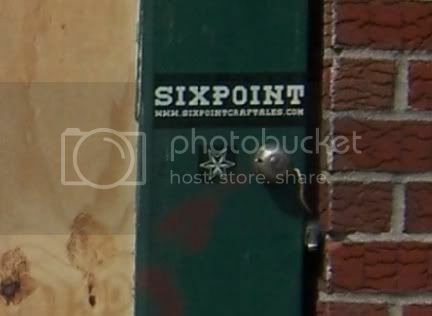 That isn't to say that Red Hook hasn't had a rough past, and it still hasn't been gentrified too much. The reason I headed there was because on the weekends there is a lively soccer scene at one of the parks and a dynamite selection of food vendors that show up to feed the crowds. This has become so popular (Anthony Bourdain featured it on a recent television show) that the city will probably shut it down. 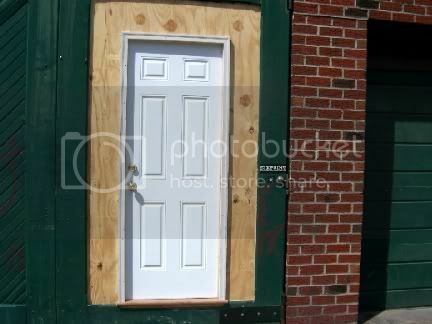 After about forty years with no complaints the city has decided that next year they will put the spots up for bids and enforce new regulations. Of course most of the vendors, working just on week-ends and being small operations, will not be able to comply. New York is great for this Mickey Mouse stuff. Chinatown during Chinese New Years used to jump, the streets and restaurants were packed. Then it was decided to outlaw fireworks of any type and now the streets are deserted. I mean firecrackers and lion dances and New Years always went together. 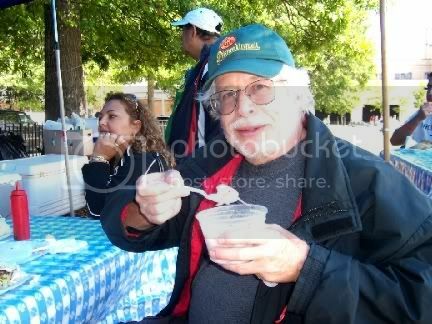 Then beer sales at street fairs was eliminated. Talk about putting a damper on things. Making pizza without wearing rubber gloves, even though it has been made that way for generations, now illegal. Homemade mozzarella cheese, a delicacy in Italy, now illegal in New York. And on and on it goes. The very things that have made New York special seem to get legislated out of existence. Oh, but cabs are now required to install GPS devices and accept credit cards, so I guess that is progress. Well, I could go on and on about this subject, but I won't. At least not today. Instead I will focus on the positive. The day started out gloomy so the Mysterious Chinese Woman and I thought about waiting until next week to make our pilgrimage. But then about noon the sun came out and the day turned gorgeous. We headed out and as luck would have it we caught a bus as soon as we got to the bus stop, three blocks from our house. Before heading to the soccer field though I decided to make a stop. No surprise there, I guess. Formerly the Liberty Height's Tap Room, it really hasn't changed much. 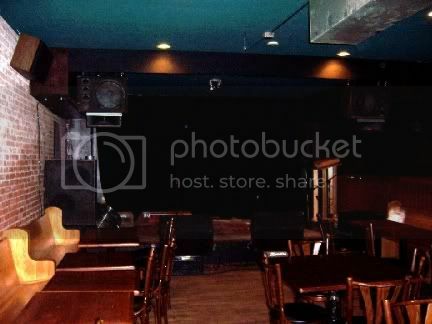 A nice enough bar with a pool table and a suitably dark back room where they have live music at night. 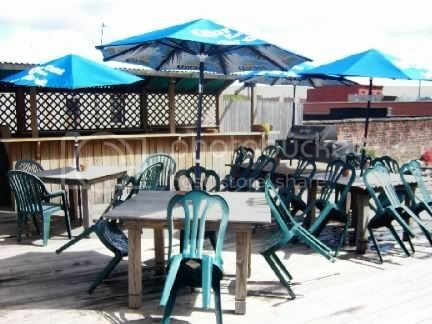 Small round tables and chairs up front and I believe they have pizza. 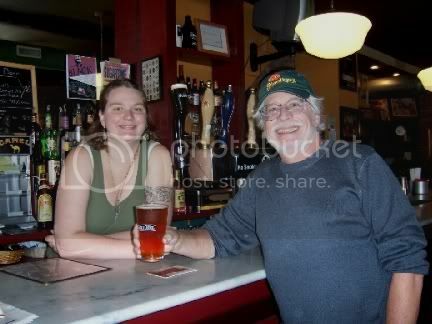 But I just needed a beer to quench my thirst and Rebecca the bartender was happy to oblige. I had a draft Sweet Action brewed by Six Points Craft Ales. It was quite good. Dark with a nice head and a decent 6.9% alcohol content. It is quite crisp which is a bit surprising given its darkness. A nice nutty malty flavor with just a touch of bitterness from the hops. A touch of spice and flowers as well. The flavor results from a blend of two types of base malts and two types of specialty malts. The malts are both German Pilsner malts and English Pale malts. They also use both English hops which are on the fruity side and German hops that give it the spicy floral touch. Add a Belgian Abbey yeast and ferment it at a low temperature and this is what you get. Quite delicious. I wouldn't be the Bar Man if I didn't poke my head inside to take a look at this micro-brewery that consistently turns out good brew. As you can see, there was a small tour in progress but I was too late to join in. No problem, I overheard what I needed to overhear. Apparently you can call to arrange a tour for a small group but I don't think they have any regularly scheduled tours. 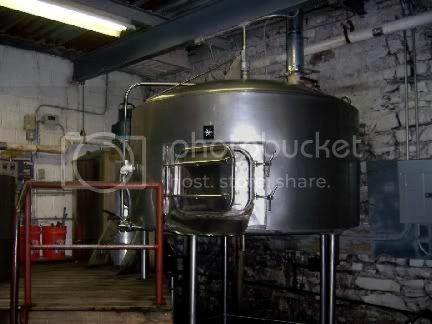 Just opposite the door to the brewery is a stairway up to a very spacious split level rooftop drinking area. It was empty early this afternoon but I was assured that it packs up later in the day and on summer evenings. I would think so. I will most certainly make a point of stopping back here again. If only it was a bit easier to get to. But then that is what makes this neck of the woods kind of cool, it isn't really easy to get to by public transportation. Oh, and if you are planning on visiting Six Points Craft Ales, be sure to go through Rocky Sullivan's. You will miss it otherwise. They have an almost non-existent street presence. 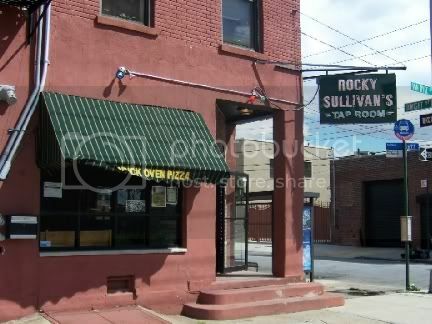 By the way, you can find Rocky Sullivan's at 34 Van Dyke Street. 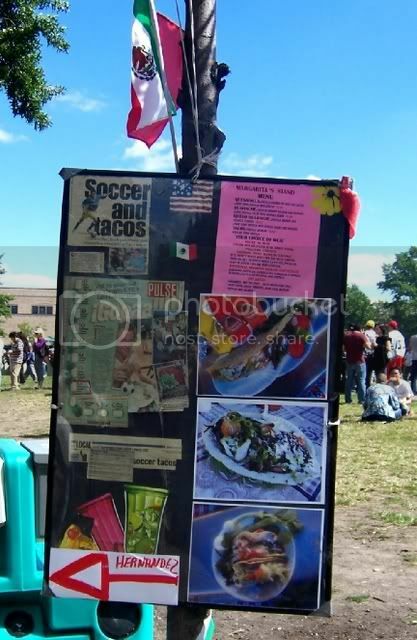 Well, I was going to post about the food vendors at the soccer field but I got carried away a bit on my digressions. As a result I will wait until next time to cover the rest of the day. Longish posts can be a bit boring.